Working through my Walt Disney World backlog this week and thought I would give you a break from all the sports content lately. While I live only 100 miles from the Canadian border, I still enjoy the Canada pavilion in Epcot’s World Showcase. O’Canada. 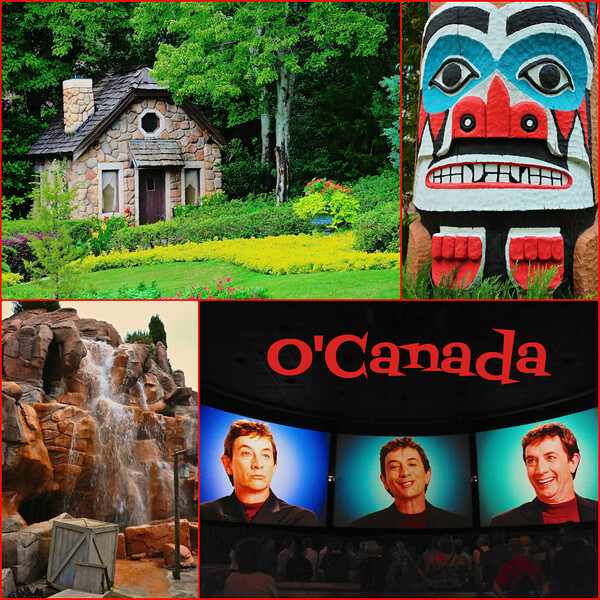 From top left: Victoria Gardens, Totem pole, Rocky Mountain waterfall, Canadian actor Martin Short. As you walk from Future World into World Showcase and head towards Canada, you come upon the Disney Imagineers microcosm for Canada. From the Province of British Colombia are the beautiful Victoria Gardens (top left) and Totem poles (top right). A waterfall flows down the sides of the Canadian Rocky Mountains (bottom left) as you walk to the CircleVision 360 theater for a showing of O’Canada hosted by Canadian actor Martin Short (bottom right). This entry was posted in Travel and tagged actor, british columbia, canada, canadian, comedian, epcot, florida, flowers, martin short, orlando, rocky mountains, totem pole, trees, walt disney world, waterfall, world showcase. Bookmark the permalink.